We finally have a President that the world respects! But, it is so sad when you are more appreciated in a foreign country than in your own. And it is a sad day when foreign dignitaries and their citizens show more respect for our flag and anthem than America citizens. China’s leader Xi Jinping may be president of one of America’s biggest rivals, but he definitely knows how important is to respect our President. 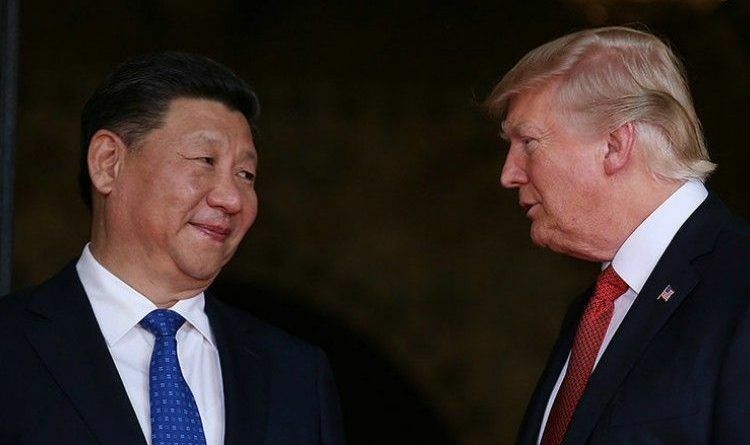 The Associated Press reported that China’s President, Xi Jinping stated today that he would be working to trim tariffs on foreign cars and work on betting protections for intellectual property holders in what is being seen as a huge victory on trade for President Trump and his administration. The comments were made not even a week after Trump toyed with the idea of placing tariffs on another round of Chinese goods. This would affect $100 billion worth of imports from China to the United States. The two major points that Americans ought to take away was the promise to lower tariffs on automobiles — which the Chinese just raised on American imports last week — and to protect intellectual property. This is a big deal for Trump. The Chinese tariffs put into place after Trump’s trade penalties on China were enacted were meant to harm the Republican Party. Those slapped the hardest by the tariffs were farmers and blue-collar workers. Some even believe that the tariffs were meant to play a part in the 2018 midterm elections. Clearly Xi Jinping did criticize the Trump administration for their decision to enforce trade penalties, but it also seems that China is willing to wiggle a little. It looks like the Trump administration’s policies are working. It is a shame when the President of the United States of America receives more respect than he receives at home. Not just the conservative community but all Americans need to show respect for the Office of President Trump. What President Trump accomplished with China was terrific and will benefit the USA. ← BREAKING! Trump Tells Russia To ‘get ready’ For Syria Missile Attacks, Moscow Hits Back With An Immediate Response!